Senior U.S. officials involved in drafting President Trump's Middle East peace plan pushed back on claims from Palestinian leadership and from some officials in Europe that the plan will be biased in favor of Israel. One official told me, "Our peace plan is not a 'Bibi plan,'" referring to Israeli Prime Minister Benjamin Netanyahu. Why it matters: Palestinian President Abbas' aides have said the U.S. peace plan will be "dead on arrival" and claimed the U.S. team has essentially been carrying Netanyahu's water for the last year and a half. The U.S. has been trying to pass messages to the Palestinians in public and in private through several Arab countries, asking them not to reject the peace plan out of hand. "If we wanted to draft a 'Bibi plan' that is not fair, balanced, realistic and appropriate we could have done that 17 months ago. I don't think characterizing it as a 'Bibi plan' is a fair characterization of our plan. There will be parts of the plan both sides are going to not like." 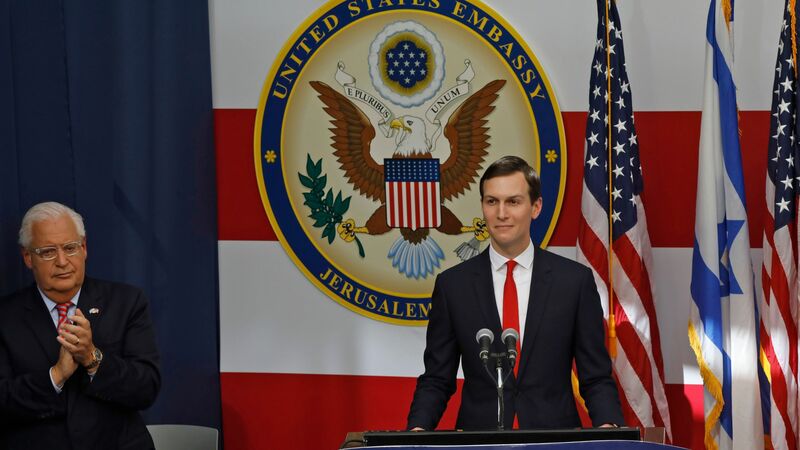 As I reported yesterday, the White House Middle East peace team — Jared Kushner and Jason Greenblatt — are going to travel to Jerusalem, Cairo, Riyadh and Doha next week to discuss the plan, which could be released soon, and the crisis in Gaza. Kushner and Greenblatt will not meet Palestinian officials, who are boycotting the White House over President Trump's Jerusalem embassy announcement. However, the White House believes there might be a chance to renew contacts with the Palestinians after the plan is launched and as Arab and Western countries see what's in it and urge them to engage. One senior official told me: "Look what happened two days ago in North Korea. Things change and we have long term view of this. We don't let ourselves get dragged down by decisions that occur because we think those decisions might eventually change under the right circumstances."